A gorgeous whiskey decanter set, dog corn holders, 10-piece makeup brush set, and 25 other favorite products from our recent posts. 1. A set of adorable dog-shaped corn holders so you can enjoy your veggies while celebrating your fave pooch with every bite. 2. A cozy pair of bedroom slippers that will be a welcome addition to your Netflix-and-chill crew. 3. An undated Panda Planner to get your goals and life schedule jotted down in one place, making it easier to stay motivated AND organized. The undated planner features three months' worth of monthly, weekly, and daily sections you can use to help monitor your schedule and keep track of your goals. Check out a full review of the planner here. 4. A set of plastic cutting mats — color-coded to prevent cross-contamination — to chop up ingredients for your next Top Chef-worthy meal. The cutting boards are BPA-free and dishwasher-safe. 5. 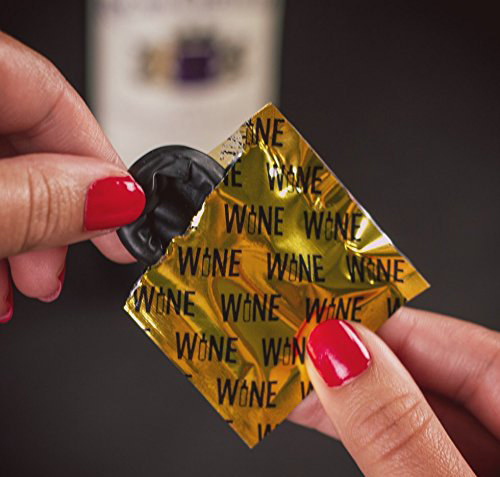 A wine condom so you can practice safe wine-stopping WITHOUT fighting with an annoying cork. The wine condoms sit flush with the rim of the bottle. You can read a full review of them here. 6. A fabulous elastic bow headband that'll keep your hair out of your face while doing your makeup, washing your face, or even trying out your latest clay mask. 7. A Randomise game for showing off your creativity while once again proving why you are the party-game LEGEND. In this mix of classic games like charades, Articulate, and Pictionary, with the addition of some random game rules, teams compete while acting out, drawing, or describing their random identities. Promising Review: “Play this game with a group of friends and bunch of beers, and your night will be awesome! It's not one of those games where it gets boring after three of four times after you play it. There's always something new to draw, act, or describe! Also, this game can be played with kids. So your family nights just got better!” —Roberto P.
8. A tiny Crock-Pot perfect for warming up a personal portion of your favorite tasty dish. The 20 oz Crock-Pot includes a dishwasher-safe and removable container with a spill-proof lid. 9. A whiskey decanter set to upgrade your bar cart to James Bond levels of elegance. 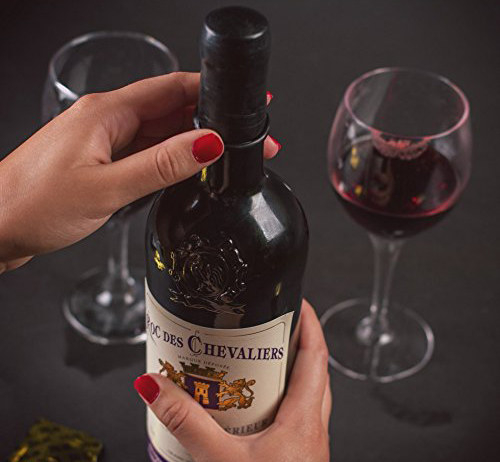 The seven-piece set includes a decanter with a stopper and six glasses. 10. A wise family of owl succulent pots for making your home or work desk look oh-so FLY. The set includes six ceramic succulent pots. 11. A set of photo coasters that'll protect the surfaces in your home while taking you on a walk down memory lane. The set of four coasters should only be wiped clean. 12. A set of oval makeup brushes you can use to switch up your beauty routine a bit. The 10-piece set includes brushes that can be used for primer, foundation, concealer, powder, BB cream, eyeliner, eyeshadow, blush, contour, highlighter, bronzer, and even setting powder. They work with powder, cream, and liquid beauty products. 13. A pack of fridge bin liners to absorb extra moisture from your fruits and veggies and keep your refrigerator shelves and drawers clean. The liners are machine-washable and should be tumble dried on low. 14. An external battery charger with a backup flashlight so you’ll never be in the dark while trying to give your devices a little more juice. The charger includes two ports so you can charge multiple devices at once. The compact footrest is created from memory foam for added comfort. 16. A pair of funky printed leggings that’ll keep you comfortable and stylish at the same damn time. 17. The We Didn’t Playtest This at All game, which can bring some MAJOR chaos to your next get-together. The game is designed for two to fifteen players; the goal is simply to win as your opponents attempt to make you lose with numerous hazard cards. 18. A color edition of Wreck This Journal to paint, write, and draw on some vibrant pages as you explore your creativity. The journal's prompts call for you to hold nothing back as you find exciting ways to leave your mark on its blank pages. 19. An sweet elephant print that’ll add a dose of cuteness to any room in your home. The image is printed on an antique dictionary page from the early to mid-1900s and can fit any standard 8x10 frame. 20. A pack of yummy Ferrero Rocher hazelnut chocolates to satisfy your sweet tooth in the most delicious way possible. The pack includes 48 individually wrapped chocolates. 21. A pillow massager for bringing peace to your weary muscles after a long day of work. The massager automatically changes direction every minute and features a heating function to help soothe tight muscles. 22. A keychain car-escape tool you can use as a seat belt cutter and car window breaker if you're ever in a serious emergency. In the event of an emergency, you pull the Resqme tool away from the clip to reveal the blade. If the seat belt is jammed, cut the belt by hooking the blade over and slicing it across. 23. A Vogue Colors A to Z coloring book that'll allow you to finally live out those fashion-editor dreams. The book features 26 magazine covers from 1912 to 1932 that you can color. 24. A set of bath bombs to soothe your body and senses after an exhausting day. The six-piece set includes a peppermint, sweet orange, lemon, rose, lavender, and citronella bath bomb. 25. A Harry Potter–themed Clue board game so you and your crew can try to figure out why students are going missing at Hogwarts. 26. A portable rolling foot massager to relieve your foot and heel pain no matter where your dogs take you. 27. A set of glittering hexagram earrings that’ll light up your life something serious. 28. A copy of Home Comforts to finally learn the secrets of keeping your house looking ready for an Architectural Digest photo shoot.